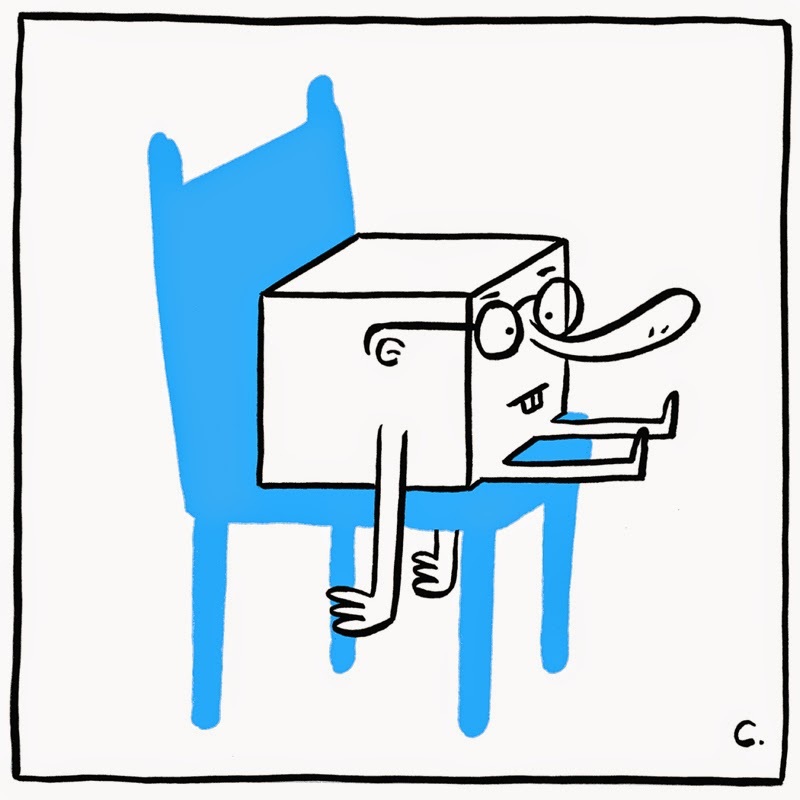 A square on a chair. Let's call this piece..."Blue Chair, White Square." I know what you're thinking - "Jason, how do you come up with such clever titles for your artwork?" The short answer is, I'm a creative genius. My blue marker is fast becoming my best friend. I've even given him a name, Earl. I think Earl and I have a long and productive future together...that is, until his ink runs out and I throw him in the trash.